See Day 2 for why I’m doing these all out of order and stuff. I was able to come up with this one without too much thought. My favorite childhood book. I wouldn’t have thought this one would be so obvious to me, but turned out it was! 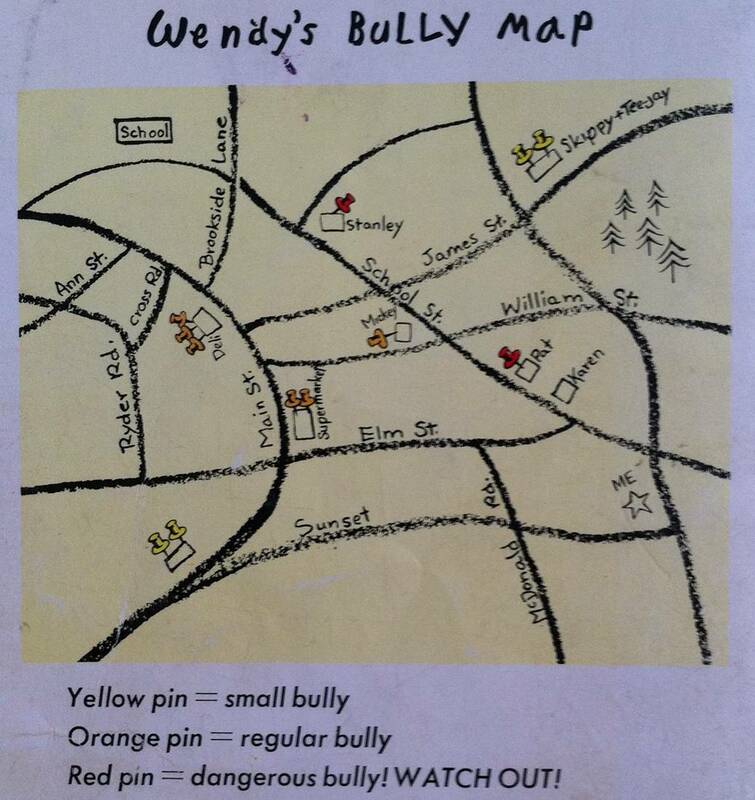 Wendy knows where all the bullies are–but what can she do about them? What can she do when she’s face-to-face with a dangerous bully like Stanley Kane? I’d previously thought that Where the Red Fern Grows was probably first book I ever reread, but now I’m pretty sure that’s not the case. I know I reread this book. I have no idea who/where I got it from, but it was the coolest. 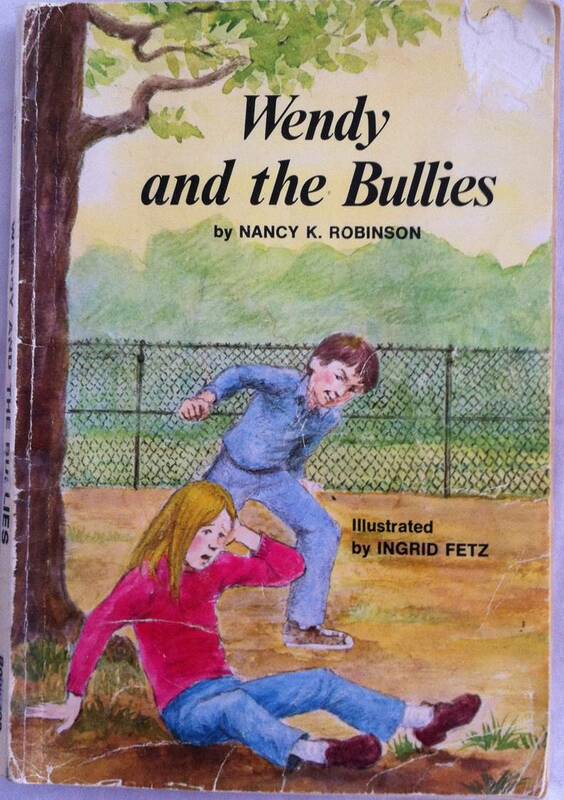 Wendy’s ability to strategize (in spite of the fact that rereading it as an adult clearly shows there’s no such detail in the book) made her my hero. 😉 Also, I don’t know if this was the book that made me love books with maps and maps in general, but the back of the book even had a map. Woot! My first book with a map! This one’s kinda easy, so I’ll go with it. It’s even better in one way, as I can come back to it as my “current obsession” changes. 😉 Also, see Day 2 for why I’m doing these all out of order and stuff. A few random thoughts: thus far, while Poirot and Miss Marple are always very enjoyable, I’ve found I like her other main characters more: Superintendent Battle, Tommy and Tuppence, and Mr. Satterthwaite primarily. (Seriously, how can you go wrong with a name like Satterthwaite?!) She’s definitely a happy ending type of author, which I’m totally down with. 😉 There’s virtually always a getting together of various couples at the ends of her novels. She also really felt for those folks who were thought to be suspects in a crime, even if they were never convicted (and obviously especially in cases where there wasn’t ever a criminal truly found to help alleviate suspicion from those other people). It’s been a pretty big point in at least the past third of the novels I’ve read/listened to. Enough randomness though, that’s my current obsession!